This is one of the many Hong Kong cafés that has been sprouting all over the island in recent years. Despite so, the restaurant still manages to attract it's fair share of customers during mealtimes. I, for one, am quite a fan of such Hong Kong cafés. 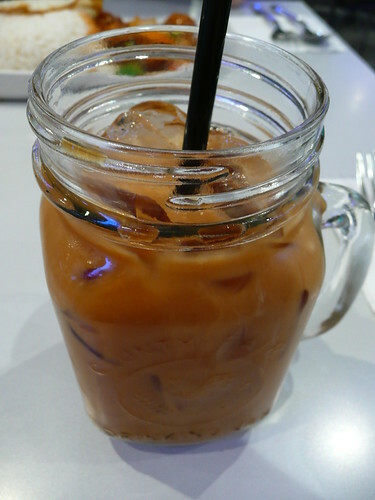 I simply love the slightly bitter milk tea which is somewhat unique to them as well as the thick toasts with it's crispy bread skin and soft inner layer. 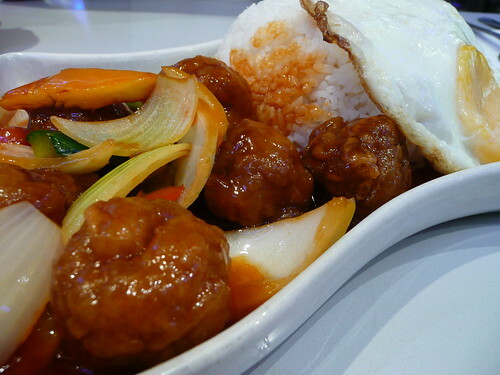 So on my recent visit, I proceeded to order rice with sweet & sour pork which comes with a sunny-side up as well. The meat was not in the typical sweet & sour pork form if you know what I mean. Instead, it's in the form of a meat ball. Nonetheless, it tasted like what it's supposed to taste - all thanks to the sauce - and there's not much to compliment or complain about. In addition, the restaurant has also incorporated some dim sum dishes in it's menu and this made the place ever more cantonese-like.